A basic slot with an interesting feature, come see for yourself! Joker Expand is probably one of the simplest Slotsbaby online games that we’ve had the pleasure of playing in recent times. 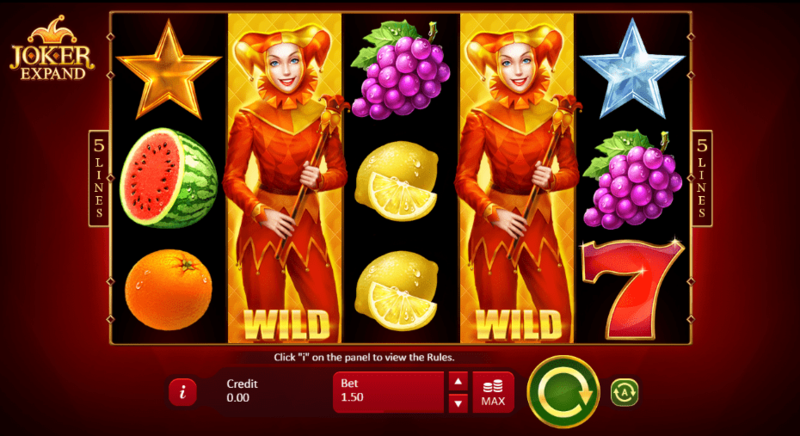 This 5 reel by 5 payline game comes with a high RTP percentage which is why you might want to check out this slot for yourself. The financial implications are spread all over this slot, you simply need to play often enough to take advantage of the opportunities presented. Be sure to check out the rest of the written review below for more information on Joker Expand! Head to Slots Baby for more fun slots play and even more bonus free spins! Sbaby has the perfect promotion for you today! 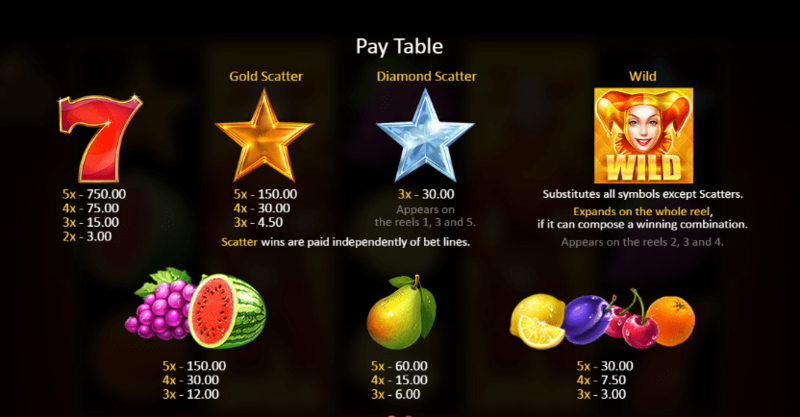 Joker Expand reminds us of a lot of the classic fruit slots from days gone by. There is an emphasis on simplistic gameplay, gameplay that you can get the hang of from maybe one or two spins max. Before you can spin you’ll first need to set your coin and bet sizes accordingly. The symbols here take the shape of various fruits, again like a classic fruit slot. Joker: The joker herself serves as this games only notable feature. Match her and you’ll get the same wild substituting that you should be used to if you’ve played any slot before. This symbol can expand taking up an entire row, which means that you are given more chances to come out on top! Autoplay: If you just want to spin this game with your hands free, thus taking advantage of the games high RTP percentage then you’ll find that the autoplay feature does that for you. Simply select how many games you want to run off in the background and for how much and away yo go! Follow this link to find out more about other exciting slot games. Joker Expand is a very fun online slot to experience, one that you will no doubt want to play in order to make fair bit of coin in the process. Playson have managed to put-together quite a fun slot here, one that pays homage to some of the slots of old at the same time, that’s something we can definitely get behind! Be sure to check out Joker Expand today for all of your online slot needs!